SEFEU takes you to the underground. Alternative comics fanzine launches with Poetrip concert on top. Be there! 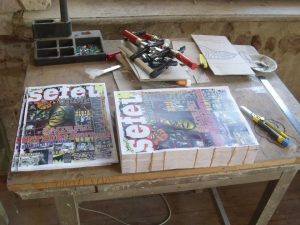 "SEFEU#9" Launch in Bucharest. You can get here description, reviews, address, time and details of "SEFEU#9" Launch in Bucharest. Visit Bucharest Tips for more Launch events in Bucharest!